Happy 2016! 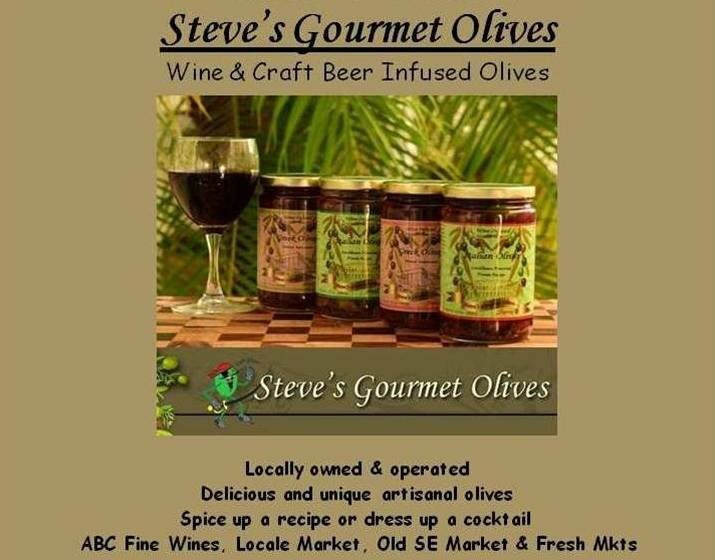 Pardon the delay, there are some changes in the works for Steve's Gourmet Olives. We are shifting into the Seminole Heights & Channelside District of Tampa and Gulfport area of St Pete to take advantage of the great vibe and support of all things local there. We are focused on expanding into restaurants and bars and adding more retailers. As always, we are excited to hear your input and appreciate your support. We are honored to be appointed the official Bloody Mary for the Krewe of Pandora. Steve will be bar tending on the float for the Day Parade. Stop by, we are float # 83. Our Bloody Mary mixes are also featured in the Rough Rider clubhouse, so ask Kenny for a "Steve's Gourmet Olives" special. Special Gasparilla displays of Blood Mary mix & olives have been set up at ABC Fine Wines throughout the Tampa Bay area. These photos are from the Kennedy Blvd and Carollwood location. So stock up now for the parade season. And look for free Friday night tastings in local ABC stores. We will be pouring Bloody Marys with local vodkas. Make sure to check out our Facebook for up-to-the-minute events. Also follow us on Instagram for some great event photos. Looking forward to seeing everyone at the many Gasparilla related events this year.